Finding an affordable life insurance policy with Berger’s Disease/IGA Nephropathy can be quite the challenge. Can I Qualify for Life Insurance if I have Berger’s Disease/IGA Nephropathy? Yes, most individuals with Berger’s Disease/IGA Nephropathy will be able to qualify fortraditional life insurance, the type of insurance which requires a medical exam. Best Case Scenario – Berger’s Disease or IGA Nephropathy that is detected early, and symptoms of hematuria and proteinuria are controlled and complications of irreversible kidney damage is prevented, most cases may have a “Mild Substandard” rating. Click here for quote at “Mild Substandard”. Moderate Case – Those cases that are progressing but damage is slowed down may still qualify for a “Medium Substandard” rating. Provided, however, that these cases are strongly supported by diagnostic and laboratory exams that show normal findings or no progression of the disease. Click here for a quote at “Medium Substandard”. How many years have you been diagnosed with Berger’s Disease/IGA Nephropathy? Berger’s Disease/IGA Nephropathy is a non-reversible condition, but serious complications like chronic renal failure or nephrotic syndrome can be managed. Longevity of the condition, however, increases the probability of developing complications. Symptoms of hematuria (bloody urine), proteinuria (protein in the urine) or pyuria (difficult urination) may be signs of progressing Berger’s Disease/IGA Nephropathy. This may get you a “Medium Substandard” rating. Are you taking any maintenance medication or supplements? Medications place the kidneys at higher risk of damage if taken without doctor’s close supervision. And if you are a person who takes over the counter drugs or supplements without your doctor’s approval, you may get a higher insurance rating. This could mean a “Medium Substandard” rating depending on the severity of complications. 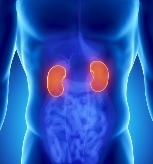 You may also like this other article which deals with Kidney Nephritis. Regular visits to your doctor may prove that your condition is controlled and life insurance companies see this as a good sign. Recent laboratory exams such as BUN and creatinine or diagnostic tests for CT-scan or MRI of the kidneys are the best ways to assess your actual condition. Do you have lifestyle practices that put your kidneys at greater damage? Lifestyle activities such as smoking, alcohol or drugs place your conditions at higher risk for acute or chronic kidney failure, which may earn you a “Medium Substandard” rating. Berger’s Disease/IGA Nephropathy, Buerger’s Disease, Thromboangitis is a condition of the kidneys characterized by inflammation of the nephrons called glomeruli (glomerulonephritis). IGA Nephropathy is the most common form of glomerulonephritis. Berger’s Disease/IGA Nephropathy or any other forms of glomerulonephritis have three distinct symptoms that include hematuria (blood in urine), proteinuria (protein in urine) and pyuria (pain on urination). Since Berger’s Disease/IGA Nephropathy remains asymptomatic until the damage to the kidney is severe, it is advisable to have regular routine checkups especially if there is a family history of this condition. Poor management of Berger’s Disease/IGA Nephropathy may result to irreversible condition of either acute or chronic kidney failure.